The Thing and the Human Torch have both had their fair share of solo series. Mr. Fantastic at least gets his name right there in the title: Fantastic Four. But Sue Richards, the Invisible Woman, has been invisible. Considering how powerful she can be (when the right creators think about it), this is long overdue. Clearly, Marvel thinks so, too. Though a mini-series, it could lead to more. (With Marvel’s publishing, a series of mini-series might be the better move for sales anyway.) 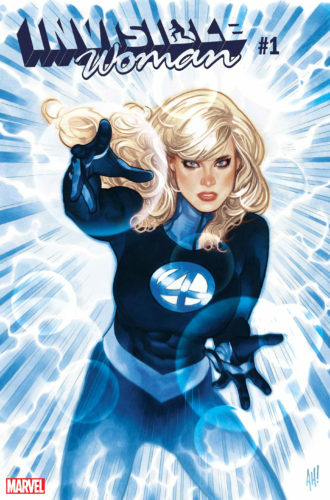 I might even dream of Sue Storm making it into the Marvel Cinematic Universe before the rest of her family does — imagine the possibilities of A-Force: Valkyrie, Captain Marvel, Shuri, Black Widow, and the Invisible Woman? I’m ready.